The Technocracy of Los Angeles is full of bad ideas. The world's newest city-state makes dreams come true and unleashes scientific nightmares across the world. 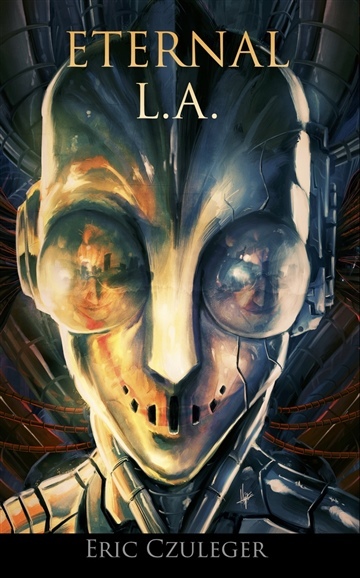 Los Angeles pioneered time travel warfare, immortal gene hacking, robotic splicing, and creating the worlds first physically addictive hour-long drama. A middle manager at an underground base alters the course of history. A corporate drone gets caught red-handed in a robot brothel. The world's most famous actress tries to take her own life, again, and again, and again. The future is now. The future is forever. Welcome to Eternal L.A.
ERIC CZULEGER is a playwright, novelist, journalist, podcaster and Returned Peace Corps Volunteer. His podcast "Howl," is a collection of strange short fiction for a strange short existence. His plays include Falling Dreams, Moonburn, No. Saints Lane, Head Over Heels and L.A. Lights Fire. He is the co-creator of Live Theater Blog a serialized play which helped to fund international development projects in Northern Albania. His novels include Immortal L.A. and Eternal L.A.